My Christmas message is early this year. In fact it's my Christmas theme so it is. 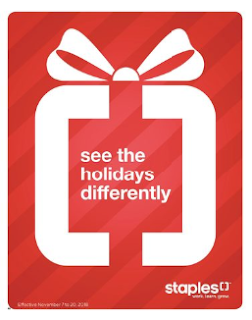 I was at Staples today and saw a poster with a slogan on it that said "See the holidays differently." I stopped for a minute and said that's actually quite profound so it is. I know I'm interpreting it very differently from their original intent but when you think about it, it is profound. Last year my daughter spent Christmas in Central America. She bought small Christmas gifts for the family she stayed with. The younger brother was excited and said to his neighbour Santa brought me a present this year. The little boy who lived next door said, there's no such thing as Santa. He's never brought me anything. It was pretty sad. The older boy didn't know what to say so he blurted out, yes there is a Santa. It's just that he can't come here because of the gangs. That was heart breaking. I was thinking of creating a non profit organization to raise money for Christmas gifts for kids in the hood but I'm not sure how to go about it. It would be a lot easier to simply support some other charity but most of the charities in that area skim off the top and barely any support gets to where it is supposed to go. So when I say see the holidays differently, I'm meaning think of kids in the hood. No matter how bad you have it, there is always someone worse off. No matter how much money you do have or don't have there is always someone with more and less than you. As TI said you gotta stop thinking about what you don't got and start thinking about what you do got. I can't stand the commercialization of Christmas. One year there was a banner outside Guildford mall that said Have a Big Beautiful Christmas. That was IMO pretty decadent. Yet Christmas keeps getting louder and louder every year making it one of the highest suicide rates for those who don't have family or have broken families. My advice is slow down and keep it simple. Having no family is better than having bad family. Some people stay in abusive relationships becuase they are afraid of being alone. Yet Solomon said "It is better to dwell in the wilderness than with an angry and contentious woman." Word. It also goes both ways. It's better to dwell in the wilderness than with an angry and contentious man. 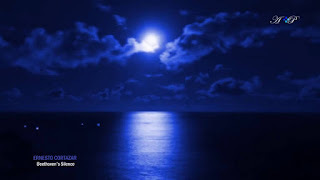 Just remember to "Go placidly amid the noise and haste, and remember what peace there may be in silence." Seeing Christmas differently would be good. It doesn't have to be the big turkey dinner with the family who you don't like. You don't have to sit down to dinner with a group of people who are going to get drunk and say nasty things. It is better to be in the wilderness or just stay home quietly and enjoy yourself. There isn't much fun in dragging yourself through stores to purchase gifts for people who won't appreciate them or want them. Its way more fun to go out and buy tooth brushes and toothpaste and a few other things, wrap them all up in Christmas bags and drop them off at the local women's transition house or shelter on Christmas eve and then go home, watch a movie go to sleep and enjoy the next day by yourself, eating things you like. Its much more fun to be by yourself in peace and quiet than at a fracious family dinner. Some people may choose to make up small gift bags and hand them out on Christmas eve/day to people on the street who look like they need them. or just take yourself off to a hotel or resort and go do nothing for a few days and ignore it all. Christmas is only fun, if its making you feel good. If its not, change its name and enjoy yourself.